(UPDATE 16:45) 150,000 euros were raised from the second metal box in a branch of a commercial bank. The money was deposited in the name of the head of department within the CRDM. 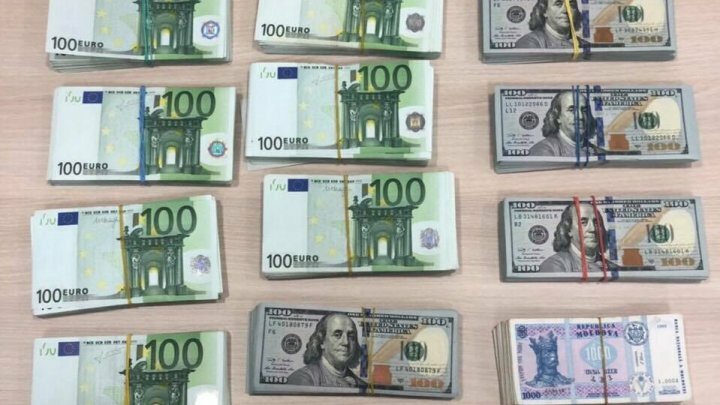 Earlier, 80,000 euros, 50,000 dollars and 100,000 lei were raised from a stock box, deposited at one of the commercial banks in the capital. The origin of the money is to be determined. In addition to the sums raised in the office and in the box, more money was found at his home. 37,000 euros, 18,200 dollars and 114,000 lei were raised from the site. The origin of money is to be clarified. Head of Computerized Radiology and Computed Tomography Department of the Republican Medical Diagnostic Center (CRDM), Silviu Condrea, was detained this morning after the CNA officers' renditions at the headquarters of the institution. He was taken to the headquarters of the National Anti-corruption Center for hearings. Six medical workers from the Diagnostic Center and private clinics in the Capital were detained in the same file. Assistant of the Head of the Department of Radiology and Computed Tomography also came to the hands of the prosecutors. If the CNA officers detected about 20,000 lei in three offices, then 80,000 were found in the office of the head of the Department of Imaging and Computed Tomography within the CRDM, as well as EUR 50,000 and 100,000 lei in the stock box held in one of the commercial banks in the capital city.